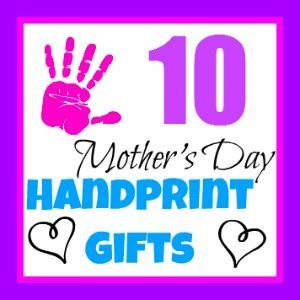 Making gifts from handprints are popular for Mother’s Day. Whether it’s something she can hang up as decor, a sweet card, or a decorated bag made just for her – all are sure to make mom feel special! 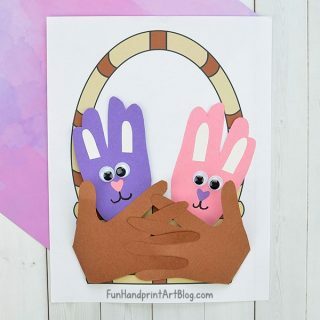 A child’s hand touches a Mother’s heart- handprint plaque keepsake for mom. From the bottom of my heart to the tips of my toes Mother’s Day keepsake. 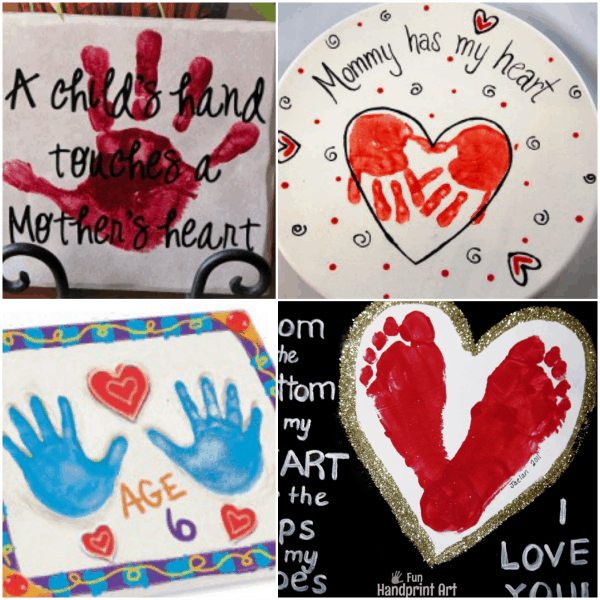 Make a handprint stepping stone keepsake for mom! 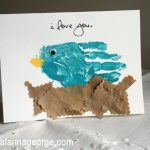 Mother’s Day handprint bird card with a fun saying for the inside. 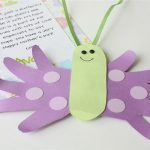 Handprint Butterfly Mother’s Day Card & adorable poem. 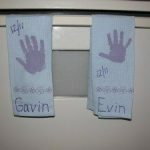 Handprint Dish Towels – make new ones every year! 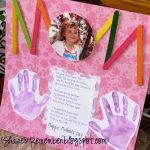 Mom scrapbook page with photo, handprints, and poem. 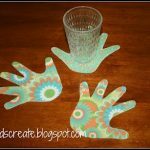 Handy coasters – simple & cute! 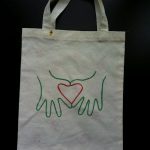 Heart-shaped hands bag as a gift for Mom. 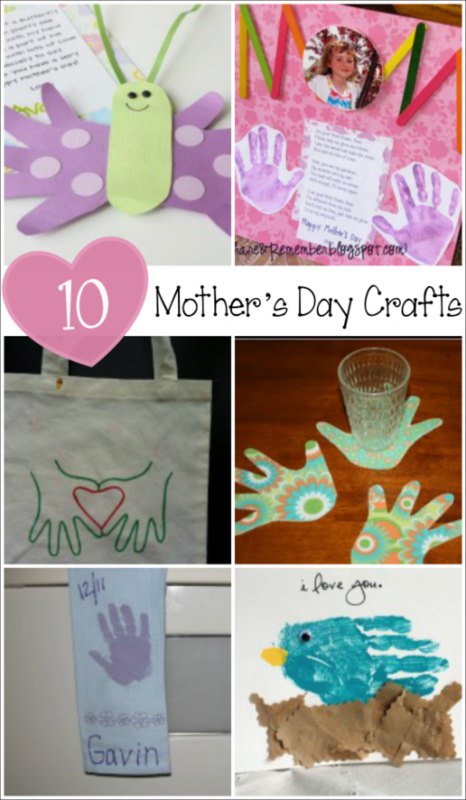 All kinds of Mother’s Day crafts on my Pinterest board. Great projects! Thanks for the feature! Thanks Anna &amp; you are welcome Stacy- I just love everything about your scrapbook-style keepsakes with your children! Such great ideas!! Thank you so much for sharing it at Crafty Moms Share&#39;s Mother&#39;s Day link party!! Happy Mother&#39;s Day!! I love all these ideas. Thanks for the feature! What a great collection of ideas! Thank you for linking up to our Mother&#39;s Day linky. I am going to have file some of these ideas away for next year. 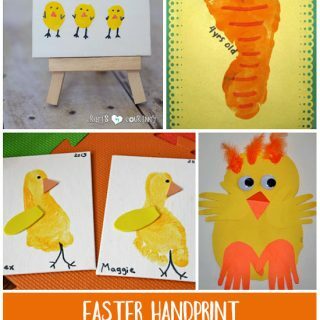 I just love handprint/footprint projects! Oh wow Beth- that loks absolutely amazing & delicious! @Carrie, Brooke, & PlainVanillaMom – you are welcome!